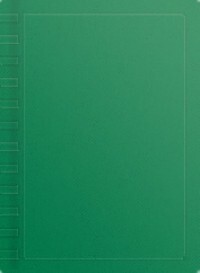 Oh wow, it's been a while since I posted here on Booklikes. I'm finally getting the hang of using this site. I have to admit it was quite intimidating at first. Plus I haven't had much time to blog on my website as well. 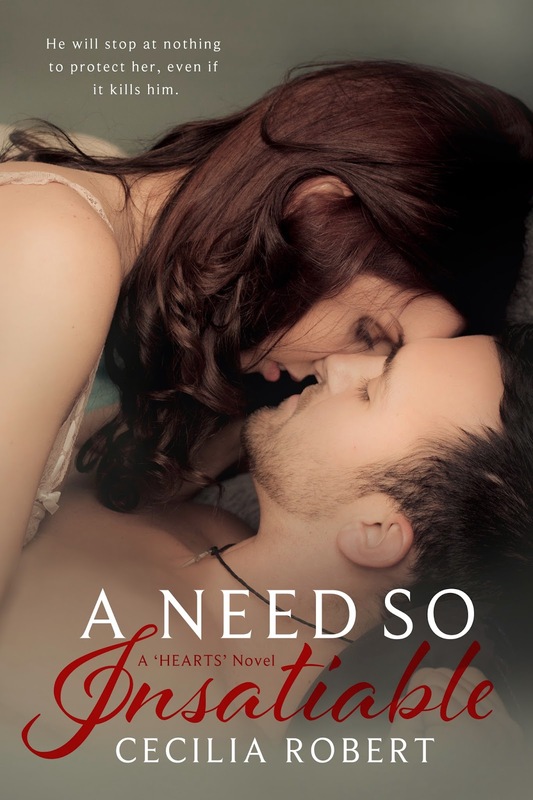 My upcoming contemporary romance, A Need So Insatiable, releases in 17 days!!! YAY!! I am so very excited to share with you. This story was so much fun, and I'm inlove with each and every one of the characters. I can't wait for you guys to meet Rafael. Intense and fiercely loyal. I will try to log on more often to post. Starting next week, --10 days before release--I'll post teasers until release day. Soul Survivor is unique Story. 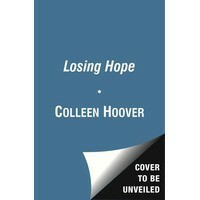 It starts off with Hailee meeting with Alex, then realises she is more than what she thought she was. And that Alex is her Guardian angel. On top of that they are falling inlove pretty fast. I love this concept about Darkness and Light because Hailee is pulled pulled in both directions and is unable to choose between Alex the good Boy-light and Seth the bad Boy -Darkness. But there is more going on than just romance. Hailee has difficult decisions to make. This Story is about finding out who you are, accepting it. Your fate. There were some shifts in tense which kind of bothered me because I had to go back and reread the sentences -but maybe that's just a writer's quirk. If you are looking for anothe spin on Angels, pick this one up! I really enjoyed it. Oh dear God! This book was...FANTASTIC! I can't believe I just discovered Jennifer Cruise. It took me years...well, not really...maybe a week or two-- give or take-- to finish this book, 'cause I was savouring the story and characters. Blitzkrieg Love is written in Beatrice's POV giving us a view of who she really is. Beatrice is a dancer, traumatised by an event that took her mother away from her. Years later, she still doesn't trust easily, and the only man she trusted is her ex. She gets a job offer in a Club and while scoping it, she meets Antony. I like Beatrice' character. She knows what she wants and goes for it. Anthony was patient and exactly what Beatrice needed to get over that painful past. And he called her Sparrow. That nickame sealed the deal for me, I fell in love. What bothered me was the way, one minute she was calling Anthony names and for some reason I felt as if she despised him, but the next moment she wanted him. This was a bit weird to me. I liked the supporting characters. Doug was awesome! :) Otherwise, this is a quick, steamy read. If you are looking for a weekend, hot read, I recommend this one. Oh wow. Holder. this boy's feelings are so deep I couldn't stop myself from falling In love. I need a nap. I think when I wake up, I'll have enough energy to scoop up my scattered emotions and rearrange them back inside their compartments..what a wonderful story!! I read 'Colors Like Memories' a while back, so I was really excited to read this book. This companion novel focuses on Tom and Arianna(Ari), this time Ari, who is Sary, has been assigned by the big guys in Sary to watch over Tom and find out what he knows about them. What Ari doesn't expect, is to like Tom. All Tom wants to do is work hard to earn his scholarship, but along comes Ari. As the story progresses, the two try to fight their feelings, but eventually learn to accept them. We meet other members of the Sary. Some kind, some heartless. Oh, Tom. He's totally swoonworthy(and he doesn't even know it) works at the animal shelter. Sometimes he's unsure of himself which makes him endearing. I really liked Ari, and felt sorry for the decisions she had to make. The Chemistry of Fate is a clean read, with a very sweet, heartbreaking romance and a wonderful HEA for the two characters. I recommend this book. "My pulse quickened to match his, and I realized that love wasn't about the movies. It wasn't about hoots of applause and heart-stopping fireworks. Those were great. Those were fun, but love, this love, my love, was quiet and secret and perfect." WOW! I'm feeling quite giddy right now after reading this book. 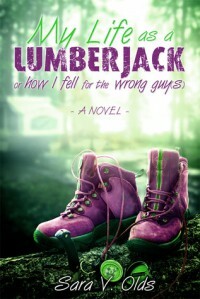 Sara V. Olds has just won me over with this YA contemporary. Trouble seems to follow her everywhere. Can I just say "Swoon-Worthy" doesn't even begin to describe them? The romance takes a while to build, but when it does, my oh my! It left my heart beating. It took Mercedes one summer to realise the one person who loves her for she was, was the one person she's known all her life. This is a wonderful friends-to-lovers story, one of my favourite tropes. "You're mine, Mercedes. I've been waiting a long time for you to be ready and now I'm not going to wait any longer. I'm claiming what's mine." ~ Conor's words when he finally decides to tell Benz how he feels about her. Er...uh..yeah, where was I? Yep. I adored this book, and highly recommend it. 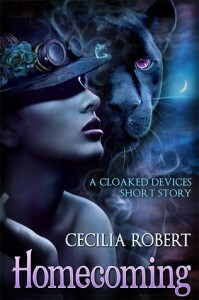 In the meantime, check out http://pinterest.com/ceciliarobert/cloaked-dev-inspiration/ for Cloaked Devices series inspiration. I have to admit when I first saw this book, that cover snagged my attention. Then the title. Yep. I am a knitting addict, so me and Talia got along very well in this book. Sometimes I use knitting a therapy. It helps me calm down to rearrange my thoughts in a more lineal fashion. (My thoughts get to be chaotic at times) Talia did the same as a way to calm down. I loved the characters. Talia, who suffers from panic attacks, meets Lachlan *swoon* when he drops by the shop to pick his grandmother - the shop where Talia attends knitting sessions with other ladies (mostly elderly) Ooh I loved this about Talia. Lachlan is this tattooed boy with a troubled past. As much as he tries to resist Talia, he is drawn to her. Talia is shy, doesn't have many friends -two actually - who end up betraying her. The only other person who manages to keep her sane, is her grandmother. Her parents are rarely at home. I'd say she is the quiet strong-type heroine who knows what she wants in life, and despite everything that has been thrown her way, she manages to rise above it all. Lachlan - where do I begin? Other than his swoon-worthiness, he is trouble. Some things happened in his past that made it hard for him to trust people. And the only person he trusts, is his grandmother. By the end of the story, he pulls through, even after his losses -which are many, poor boy - he rises above everything, with Talia by his side. "Your mouth, your kiss is addictive and I want this to last. If I kiss you, I'm afraid I might not," he murmured in her ear. "Liese, you have no idea how many ways I've imagined touching you. How many ways I've dreamed about making sweet love to you." Frey slid his fingertips down her spine to the small of her back and her knees buckled. He scooped her in his arms swiftly before she slipped on the floor, brought his mouth to her ear and whispered, "You are mine, Liese and I promise to show you." This is a short story that can be downloaded for free on Inkspell website. Wow! I thoroughly enjoyed reading Olivia and Dean's story. A couple with real problems that eventually drove them apart. By the end of the book they'd tortured themselves so much, my heart was breaking with every decision they made, or didn't make. And the ending!! Thank goodness Allure released today. I highly recommend this book! :) On to the second book. First, I'd like to thank Netgalley for the review copy of Walking Disaster. 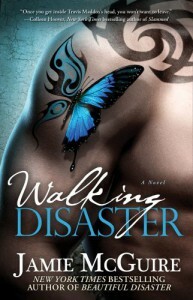 I read Beautiful Disaster sometime last year, and was really eager to read Walking Disaster. Watching the story unfold through Trevor's POV was a real treat. Trevor is quite intense, and more so when he meets Abby. To him, Abby is everything, enough for him to change his wayward ways. Abby is unlike any other girl he's ever met, and this makes him want her more, even if it just being friends. Being close to her. Like in Beautiful Disaster, it was really great to see their relationship develop first to friends, then to lovers. Trevor's brothers and father. Loved how close they were, watching each other's back. Even though Trev's mom passed away years ago, I could see that it somehow brought them closer, watching out for each other. For Trevor fans, Walking Disaster is a great story to really get to know him, see his struggles, his fears and finally understand why he acts the way he does. I highly recommend reading Beautiful Disaster first, where it all started and is written in Abby's POV, before reading this Walking Disaster. A great read, and I look forward to reading Ms McGuire's other works. Highly recommended for lovers of contemporary romance. Today Only was a wonderful story focusing on Rye who finds love and friendship in the worst time of her life, which turns out to be the best time of her life. There are scenes that made me laugh, sigh in contentment (especially when Jett was around), and of course cry. This is a very emotional story. It's raw and real.